If you’re hungry to know all about this year’s biggest screen sensation, join Katniss and the crew for an official behind-the-scenes view of the film. It’s a feast of photos, profiles, star stories, sets and costumes to feed even the biggest addict’s appetite! 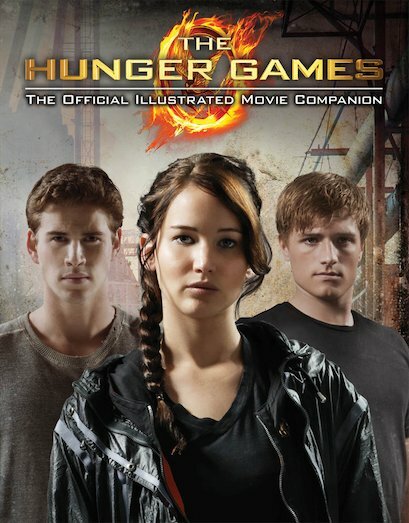 The Hunger Games is one of the most talked-about publishing phenomena of recent years. Now that the shocking and riveting book is a major motion picture, this is your must-have guide to the movie, both in front of the camera and behind it. From the screenwriting process and casting decisions to the elaborate sets and costumes, the actors’ performances and the director’s vision, it’s crammed with exclusive images, interviews and previews. You won’t be able to look away!